Power Inn Alliance is the property-based business improvement district (PBID), created in 2006 to “Advocate for business, transportation and community”. 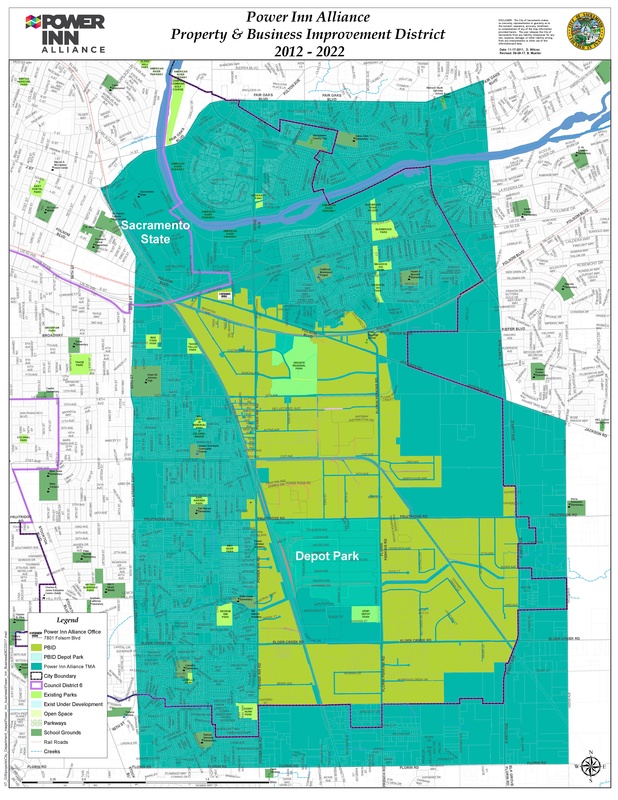 The district is located in the southeastern quadrant of the city of Sacramento and is home to over 10,000 businesses which creates over 29,000 direct jobs and produces over $3.2 billion in annual economic output. It serves as the city’s manufacturing core with over 62% of the city’s manufacturing base taking place in the 6.2 mile area*. It is also home to the future Sacramento Center for Innovation. Community: Hosting various meetings, forums and events, such as the annual Awards Luncheon, to give members opportunities to expand their network of contacts and connect them with political leaders.